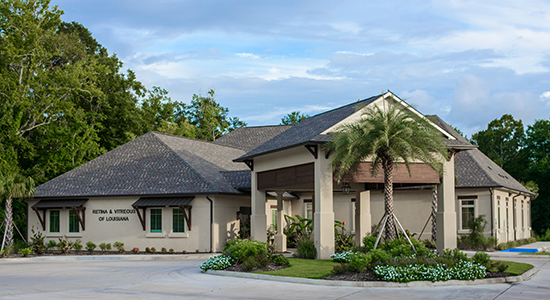 Retina & Vitreous of Louisiana has been providing excellence in retinal care for patients in Baton Rouge and the surrounding areas for over 12 years. Our cutting-edge technology, combined with our surgical expertise and experience make it all possible. Our doctors: John T. Couvillion, M.D., Barbara A. Noguchi, M.D. and Robert Mason, M.D., M.B.A. are experienced in the subspecialty of the retina and have a genuine concern for their patients. Our ultimate goal at Retina & Vitreous of Louisiana is to provide our patients with the most efficient retinal care and enable our patients to see as well as they possibly can while facing challenging types of diseases. This website provides you with an overview of our practice and the field of vitreoretinal diseases. As you navigate the site, you'll find information about Retina & Vitreous of Louisiana's practice philosophy, physicians, our office locations, insurance policies, and appointment scheduling procedures. Please browse the site at your convenience and feel free to contact us with any questions or to schedule an appointment. You'll find a lot of valuable information on the website about retina diseases and treatments. We believe informed patients are better prepared to make decisions about their health and well-being of their eyes. We encourage you to review this information to help better understand the vitreoretinal problems you may be facing.